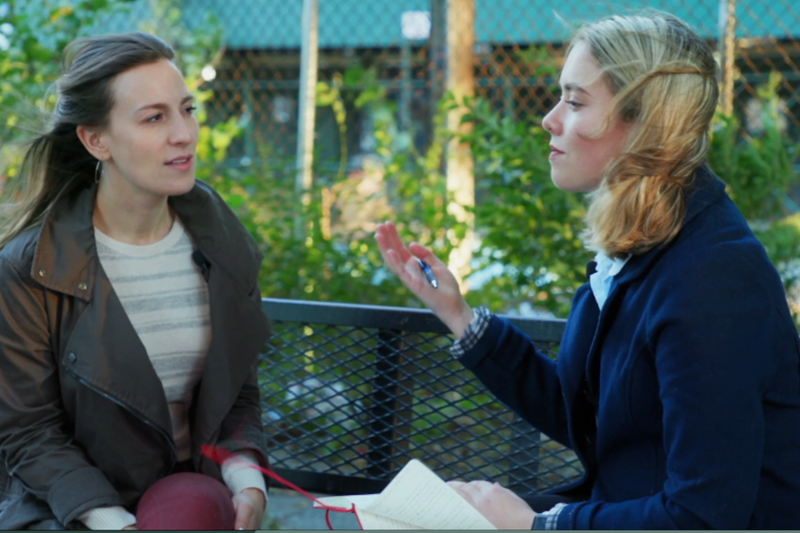 WFUV reporter Julia Agos interviews Senate District 34 candidate Alessandra Biaggi (D) ahead of the midterm elections. On a blustery October evening, in a park in Soundview, Bronx, Alessandra Biaggi was preparing to canvas in a nearby residential building. She wore pink jeans and a leather jacket. With minimal makeup and long brown hair, she looked more like an activist, than a women running for New York State Senate. Her campaign hustle lead to one of the largest upsets in New York’s Democratic primaries: Biaggi ousted Jeff Klein, founder of the Independent Democratic Conference, and one of the most powerful lawmakers in New York. She then joined Governor Cuomo’s administration in his Counsel’s office with a focus on women’s issue and public health. But during her time there, she became frustrated with lack of progress on the many bills that never got out of committee. So, as her family taught her as child, she began to look for a solution. She looked at her representatives, including Jeff Klein, and tried to figure out what was going wrong. That’s when it clicked for her, “(Klein) was the reason why so many bills and so much progress has been stalled. I figured that nothing would ever change if we have the same type of leadership.” During the primary cycle, Klein’s $3 million war chest outspent her 10-to-1. Biaggi beat Klein by 9 points. Now she is up against Republican Richard Ribustello in a district that went blue in the last election by more than 84 points. So Biaggi will almost certainly be joining the NY State Senate in January. Off The Trail is a collaboration with WFUV News, Bronxnet Television, and The Norwood News, where we profile several candidates ahead of the November general election. Listen to Prickly Politics talk with Biaggi and other NY Senate Candidates about their campaigns.